As summer approaches, kids get excited for freedom from the routines and structures of school. But parents often worry how they will encourage their children to keep reading. Kids have put a lot of effort into developing their reading abilities throughout the school year--what's going to happen to all those hard-earned skills over the summer? Parents and children know that it’s important for children to develop strong reading skills--the question I hear so many parents asking is, “How can I get my child to enjoy reading more?” They’re absolutely right. Enjoying reading is key--we want our kids to get lost in books, totally absorbed in whatever they're reading. We do what we enjoy doing--that’s basic human nature, isn’t it? 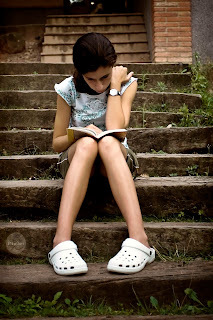 Reading develops only with practice -- the more you read, the better you get; the better you get, the more you read. So how do we help children enjoy reading and choose to read more often? "What if all of your reading material was selected by, or restricted by people who believed that they know what was best for you? Wouldn’t that be awful? Wouldn’t you resent it? And isn’t it possible that you might begin to associate books with bad things like drudgery and subjugation?" The first step to supporting your child is to encourage them to pick what interests them. During the summer, encourage them to seize the power and declare their own passions or interests. Baseball fan? Read biographies, baseball mysteries or sports magazines. Dolphin lover? Dive in deep, learning all about types of dolphins, threats on their habitats and scientists who study them. The second step is to get a sense of your child's approximate reading levels--not to prescribe what your child can read, but to help her find books that are easy enough to read independently. Children will find the most success reading books in that they can read easily and fluently, especially during the summer. The final step is to recognize that learning is social -- kids will get engaged more if you value their ideas, ask for their recommendations, talk with them. Do they resist talking with you? Figure out another way for them to engage with others--maybe it's high-tech and setting up a blog, maybe it's old-school and having a reading recommendation journal that you each put entries into, maybe it involves ice cream and friends who like to talk about books and hobbies. 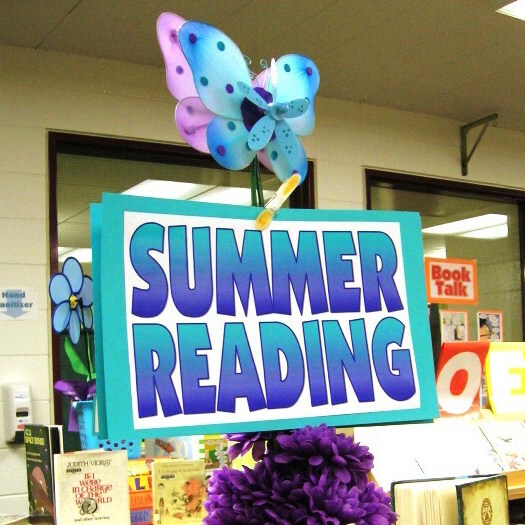 Are you looking for summer reading ideas? Check out my recommendations, created for Berkeley Unified School District families. Please feel free to download these, print them and share with your friends. Most of all, try to make summer reading time a fun, relaxing part of your summer! Ms. Scheuer - what a timely post! I was going to ask you (and given your post, I think I now know your answer! ): my 3rd grader read Erin Hunter's "Warriors" series. LOVED it. He finished the series a few months ago and has just started reading it all over again. Part of me thinks he should read something new (new knowledge, new expertise) - but given your post... maybe summer is the perfect time to re-read and re-love it all over again? Thanks for your blog & guidance. Love it. Hooray!! Building the love, noticing new details, making new connections will make your son a better reader. Soak up the love! I wish that there could be a list of books by the kids posted and to see the top summer reads by students!